On a long trip into the bush, every spare set of hands helps. In the traditional Innu culture, even children did their part as their families followed the caribou. They would carry a supply of tea with them, ingeniously stuffed into handmade dolls. Now the practical has become collectible, and the "tea dolls," handmade by Innu women in Labrador, are in high demand. As this CBC clip explains, a doll can fetch $100, or $200 if it's made from caribou hide. • Another reason why the Innu stuffed dolls with tea was to have a backup supply in case they ran out. Once more tea was obtained from the trading post, the dolls could be easily refilled. Moss, rags or grass could also be used to restuff the doll. • In Davis Inlet, traditional hats with ear flaps were sometimes also stuffed with tea. • A well-known producer of Innu tea dolls is Angela Andrew of Sheshatshiu, Labrador. Each doll is different, and she dresses them in traditional Innu wear. Traditional hooked mats vary widely in pattern, shape and colour. Collectors, scholars and dealers discuss the whimsical carvings and naive paintings created by ordinary people. The art of glass-blowing: handle with care! The delicate art of glass-blowing proves harder than it looks for the CBC's Peter Jordan. Philosopher William Morris pioneers an approach to design that favours handmade over factory-made. A Nova Scotia carver can breathe life into a block of wood, making sculptures coveted by collectors. A Manitoba quilter considers her work part art, part craft. A Queensborough, Ont. quilter shows off the fruits of her labours. Dad's a potter and Mom's a spinner in a B.C. clan that supports itself by making and selling handcrafts. Women in Sachs Harbour, N.W.T., use sealskin to craft Ookpiks, doll parkas other items for southern collectors. CBC television takes viewers to a milling frolic in the Codroy Valley in Newfoundland. CBC Telescope looks in on folk artist Maud Lewis and her husband Everett. A wide-eyed owl made of sealskin becomes a popular Inuit craft and an appealing symbol of Canada. 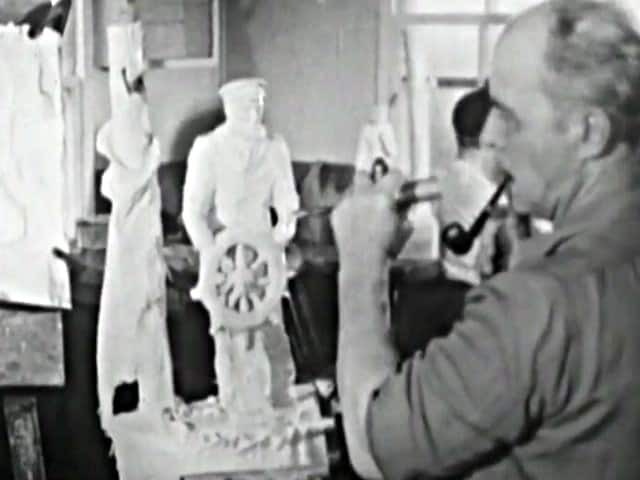 CBC television viewers get a glimpse of village carvers at work in this Quebec village.